Mobile technology has transformed our daily lives in innumerable ways. Long gone are the days of hunting for change for the phone booth. People can now connect from wherever they are in the world, through traditional calling and video conferencing. They can surf the web, access their stocks for trading, or watch their favorite shows. There are hundreds of thousands of apps available in both the Android and iOS marketplaces, giving on the go consumers an almost endless range of tools for any sort of job. 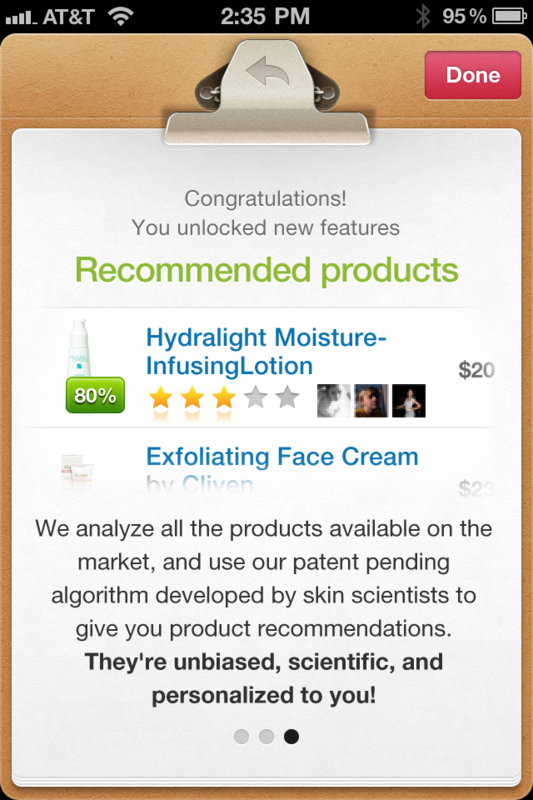 And with a new app just released to market, that now extends into skin care. There are an unfathomable number of beauty products out there, much of the reason why beauty is a billion dollar industry. But how do you decide which ones are right for you without a professional beautician on site? High-end skincare products are incredibly expensive, and you definitely don’t want to buy something that’s not right for you. 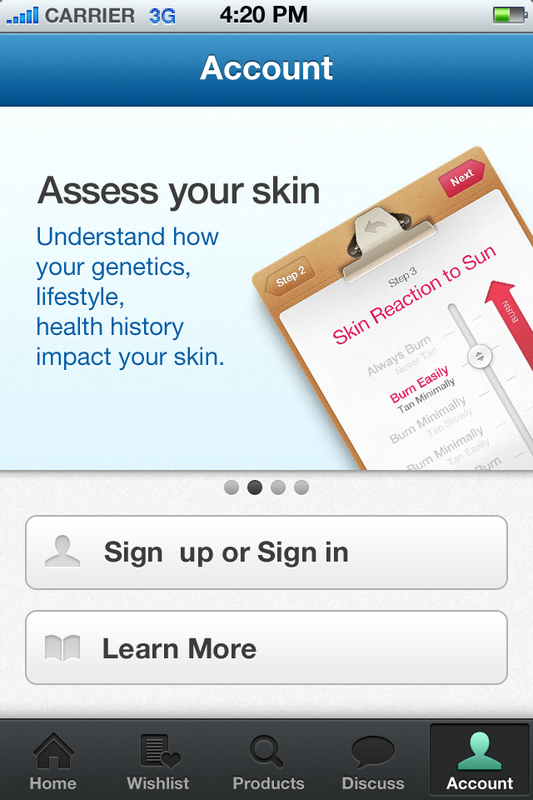 Luckily, your iPhone is coming to the rescue, with a new app called mySkin. Basically what the new app does is help you decide which products will work best for your skin, saving you the research time and cash wasted on the wrong purchase. When you download the app, you’ll see a welcome screen with a bold message, clearly stating the mission of the app. mySkin is determined to educate its users on how lifestyle, health history, and even genetics can impact skin, and therefore impact the products you require. Once you sign in, you’ll create a profile built upon a detailed personal skin assessment. After completing the skin assessment, the app launches the Just Like Me search engine, designed to help you cut through the noise and find the perfect skincare product combination for your needs. The app reaches those conclusions based on a massive catalog of available skincare products, in fact, more than 160,000 of them. It doesn’t have any sort of bias based on retailers, brands or price, but simply gives you clear recommendations that take into consideration your diet, lifestyle, current skin conditions and any future concerns you have for your skin. That means people living in sunny climates can focus on combating sunburn and wrinkles, while those living in cold weather can zero in on dry skin issues. Once you’ve got your breakdown, you’re free to shop for your skincare solution. But mySkin will continue to offer value in the months ahead. There’s a social aspect, giving you the ability to share your experiences with any of the skincare products with other women, as well as check out reviews on new products you’re considering. It’s got a wishlist, so you can track skincare products that haven’t yet hit the market or you’ve yet to purchase, a question and answer section to help you navigate all the options, and a way to link with friends so you can see what products they’ve found successful. Since skincare doesn’t only come down to being beautiful, but also finding safe cosmetics that won’t damage your skin in the long-term, having input from both beauty professionals and the regular gal on the street will paint you a more complete picture. Thanks to Evan Fischer for this guest post. He is a freelance writer and part-time student at California Lutheran University in Thousand Oaks, California. ← ‘Zuba!’ Official trailer Revealed! Entries (RSS) | Comments (RSS) | 94 queries in 1.504 seconds.